A Brighton scientist is leaving her laboratory to stand on a soapbox and explain to passers-by how nanomaterials – a thousand times smaller than the diameter of a human hair – can help fight infections. 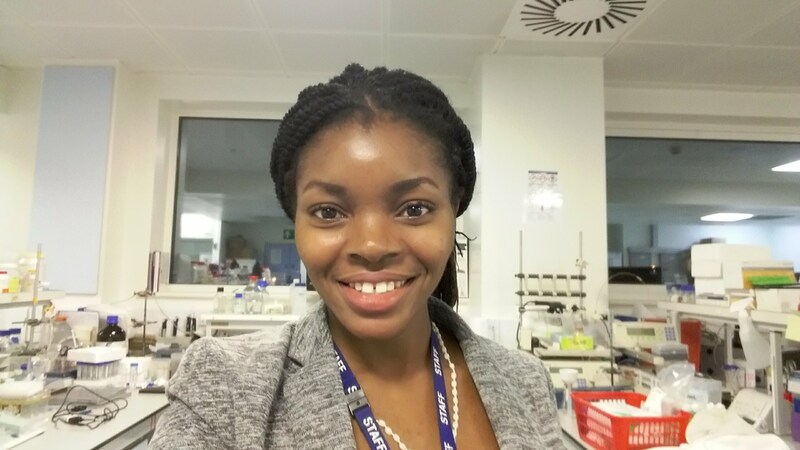 Tochukwu Ozulumba, a PhD candidate in the University of Brighton’s School of Pharmacy and Biomolecular Sciences, is one of 12 science, technology, engineering and maths scientists taking part in a Soapbox Science event on Brighton seafront. The event, aimed at helping eliminate gender inequality in science by raising the profile and challenging the public’s view of women in science, will be on Brighton seafront, just west of the i360 between 11am and 2pm on 2 June. Tochukwu explained more about ‘Disrupting Infection and Inflammation at the Nanoscale’: “Human physiology is governed by processes that happen at the nanoscale and when these processes are overwhelmed by infection, disease or injury, cellular and microbial products termed biotoxins build up in a cycle that further overwhelms the body. “This can occur, for example, in a non-healing wound or in conditions such as sepsis, liver or kidney failure. Current biomedical devices attempt to address excessive biotoxin overload but tend to be limited in capacity and in the size of molecules that can be removed. In addition, alternatives to antibiotic treatment of bacterial infections are required to address the rise in antimicrobial resistance. “My work seeks to build on advances in nanomaterials technology and on previous work demonstrating that nanostructured adsorbent carbons may be used to target bacterial endotoxin and augment the size range of toxins removed by dialysis for kidney patients.